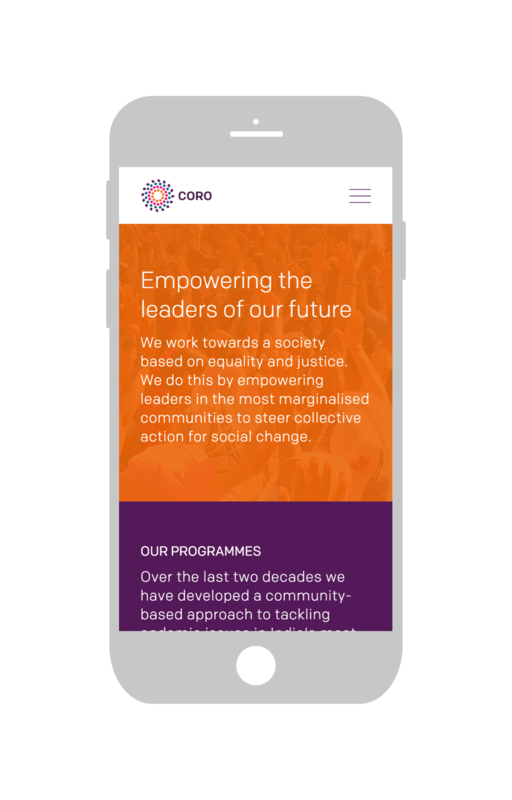 CORO’s ability to directly empower individuals to change their own society is a powerful example of how change leadership should work. 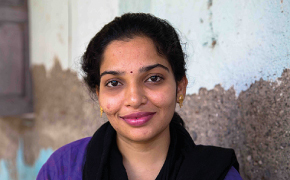 We are proud to help them show just how effective they are as they expand their programmes across India. 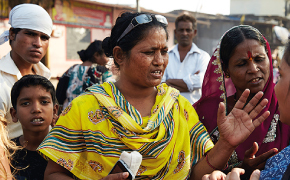 For twenty five years CORO has been working at grassroots level to secure rights and equality for the most marginalised communities in India. 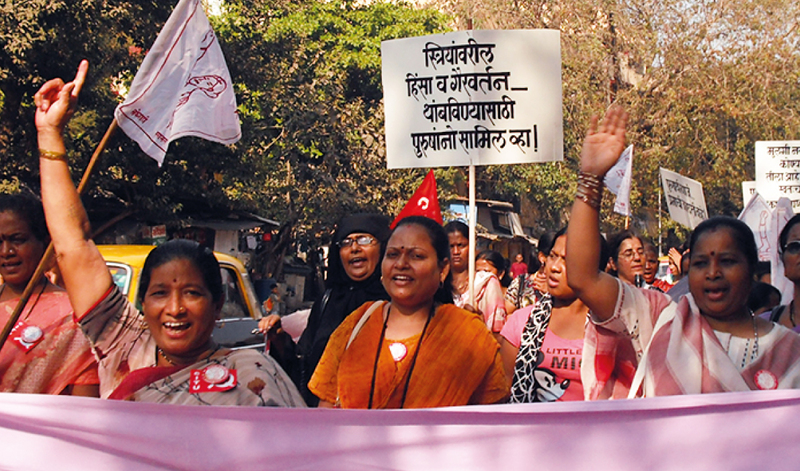 At a time of great social challenge and debate in India CORO is well placed to be recognised fully for the experience and impact it has and expand its network, taking on an ambitious expansion into new territories – Rajasthan and New Delhi. 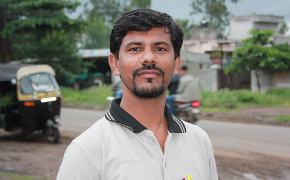 With recent law changes in India new opportunities for funding have emerged and it is important for CORO to establish themselves as a recognisable name for corporations to partner with and state governance to back. 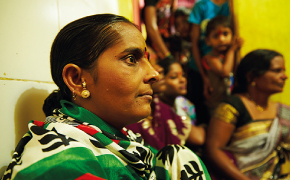 We recognised the opportunity to tell CORO’s story to a new audience – who CORO are, what they have achieved, and how they are working to shape India’s future. 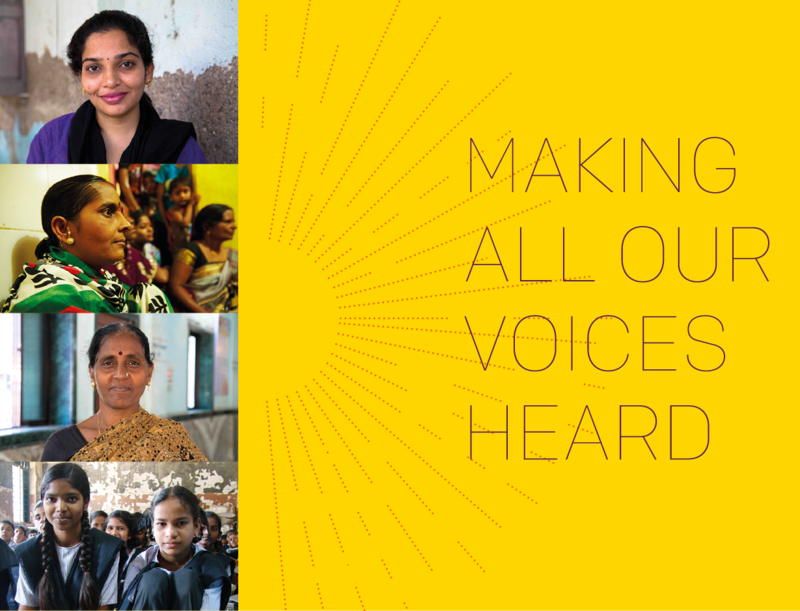 We developed a new visual identity that expresses the energy and spirit of change – the action of people developing together. Like an open Chakra the energy turns clockwise, always moving forward. 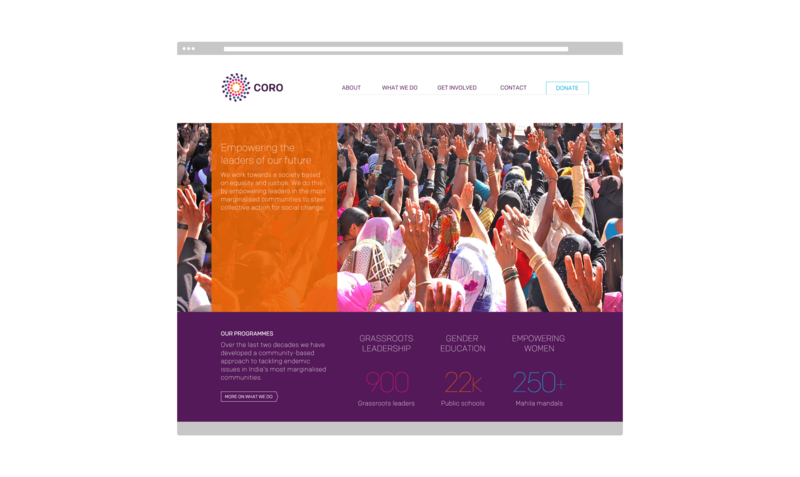 We simplified the CORO success stories in to easy-to-grasp statistical information to make it more accessible and encourage more awareness and sharing of their campaigns.